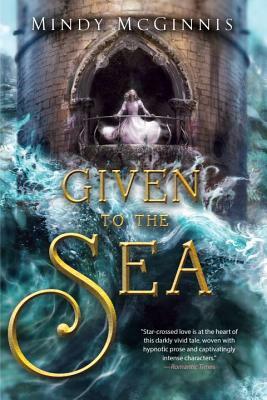 Kings and Queens rise and fall, loyalties collide, and romance blooms in a world where the sea is rising -- and cannot be escaped. Khosa is Given to the Sea, a girl born to be fed to the water, her flesh preventing a wave like the one that destroyed the Kingdom of Stille in days of old. But before she's allowed to dance an uncontrollable twitching of the limbs that will carry her to the shore in a frenzy -- she must produce an heir. Yet the thought of human touch sends shudders down her spine that not even the sound of the tide can match. Dara and Donil are the last of the Indiri, a native race whose dwindling magic grows weaker as the island country fades. Animals cease to bear young, creatures of the sea take to the land, and the Pietra -- fierce fighters who destroyed the Indiri a generation before -- are now marching from their stony shores for the twin's adopted homeland, Stille. Witt leads the Pietra, their army the only family he has ever known. The stone shores harbor a secret, a growing threat that will envelop the entire land -- and he will conquer every speck of soil to ensure the survival of his people.